I apologise for the photos, but this was quite a spontaneous post of mine this evening so I took this just now and the lighting isn’t fabulous! Anyway, these two lip products have really saved my dry, sore lips this winter, and if you have sore lips too you should try them! I mix between these two products depending how I’m feeling. For example, if I am out and about the Carmex Lip Balm is just so much more convenient! I have seen a big improvement in my lips after using this product. I apply it a few times a day and I am just really happy with it! Saying that, strawberry? really? I don’t really get a lot of strawberry from this product, it is more kind of minty but I don’t mind because it WORKS! I do love myself a good scrub! I previously had the bubblegum one, but it was SO delicious and I used to pretty much put it on, to eat it. (Not fully true, the finish these lip scrubs have on your lips is INCREDIBLE and I just loved the feeling) This product will give you totally kissable lips! The Lush lip scrubs are about £5.50 I believe, which may seem a lot because I think its basically a pot of sugar, but I think these last a really long time because you just need a little amount. I think this product is worth the money, just for how good your lips feel! SIGHT – you can notice the visible difference when you use this scrub! No more white dead bits! TOUCH – your lips feel SO soft, I love it sooo much. 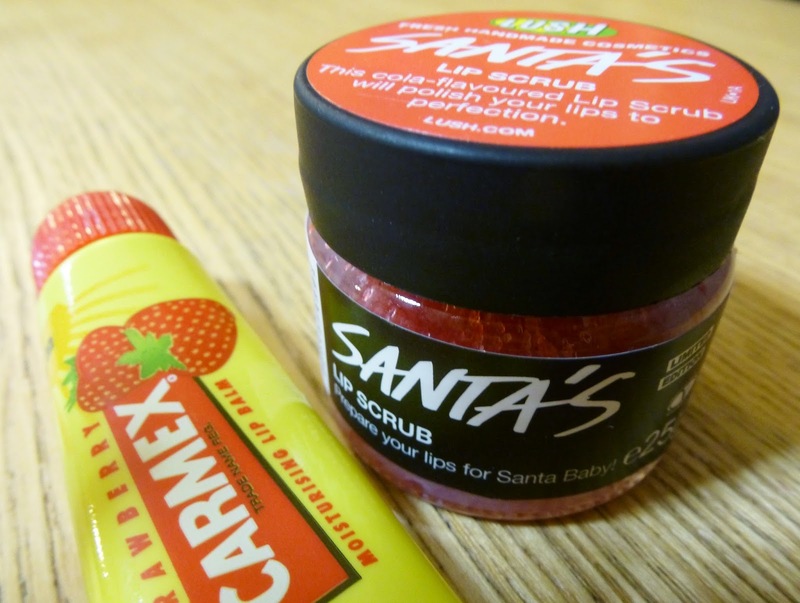 Lush scrubs would be the perfect stocking filler, or a treat for yourself! Better grab this Santa one quick, it won’t be around for much longer 🙁 Although I defo recommend the bubblegum one! Have you used any of the products mentioned in this post? Do you love them? Do you have any winter lip saviours of your own? Thanks for reading!! <3 Catch you tomorrow! 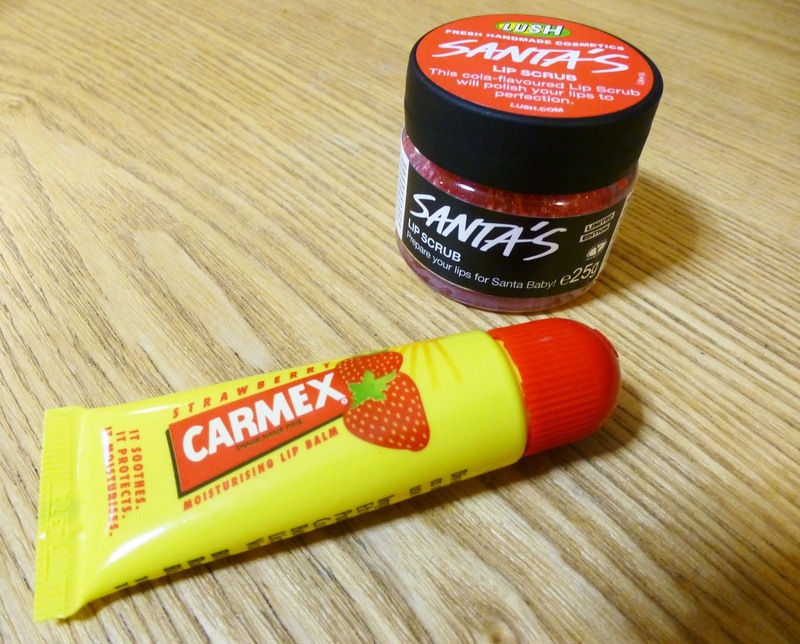 I picked up a tube of Carmex for the first time – you read that right, the FIRST time – last week and I'm a complete convert! I keep a tube of it in my coat pocket so I have it on me at all times! My lips have been so chapped recently, the cold weather is definitely not good for my skin! 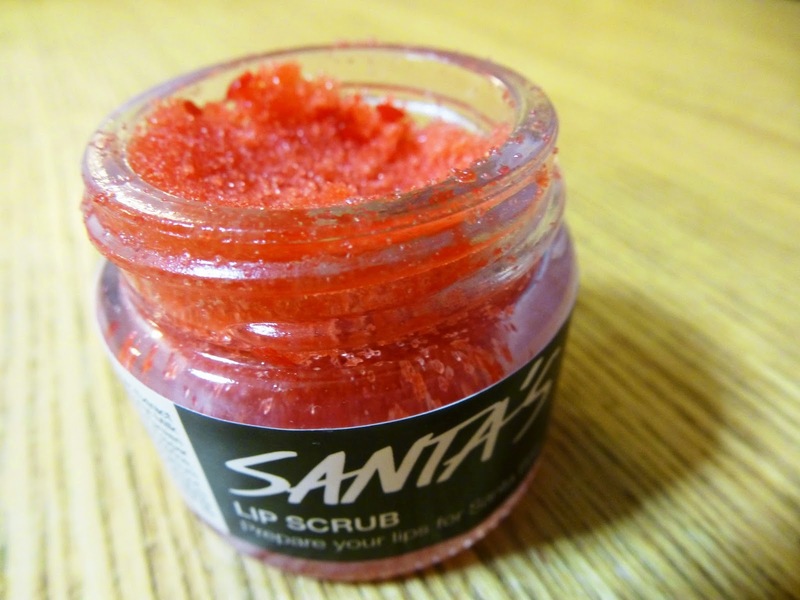 I really want to buy a Lush lip scrub, they do seem expensive but iv'e heard amazing things.